Did you miss out on the cocktail design challenge? Here’s a fabulous entry from Ashley. A lovely refreshing cocktail based on your logo which is pink with a blue fruit. A true cocktail has at least two alcoholic elements (a G&T being officially classed as a “highball”). So with that in mind, here is what I have called “Discovery Punch”. • Start by chilling a serving glass before you start. • Add, the vodka (or gin), Cointreau (or the juice of one orange, lemon or lime), then add the pomegranate or cranberry juice, and gently shake. • Strain into the chilled glass and garnish with one or more of the blueberries on a cocktail stick and add a thin half slice of lemon to the glass. • Place ice, frozen blueberries and the juice of an orange in a cocktail shaker, and top up with cranberry or pomegranate juice, then gently shake. 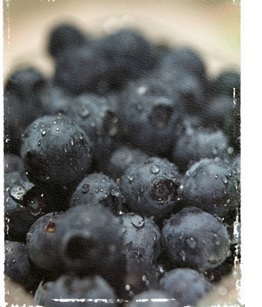 • Strain into the glass and add blueberries on a cocktail stick, along with a thin half slice of lemon. Can you design a delicious cocktail inspired by my logo cocktail glass? Come and share on my Facebook page.